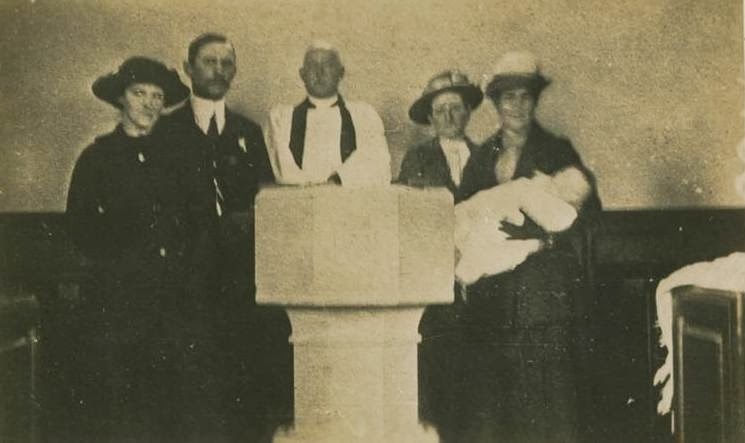 The first baptism in Cowshill Church was Thomas Thompson, named after the new St. Thomas' Church. He was born in Wearhead in November 1915, where he lived all of his life. The vicar is Revd John Harrison.